"Meisterplan simplified our resource management"
You always see the current allocation of your resources and with simple drag and drop you move projects and recognize the changes for your resources and financials. Great and intuitive user interface for easy project portfolio planning. Especially the inclusion of financials is great! Interfaces with other systems and tools are interesting option for high level of integration in our entire software landscape. Get in contact with the company and get a webdemo before using the demo version - best way to get to know the product! Ask for an Excel import of (part of) you current portfolio to play around with real data and see benefit for your organization - might cost a dollar or two, but is good value proof. We streamlined our complete resource management which saved us lots of planning hours and avoid misunderstandings, overallocation as well as underutilization of resources. "Project Portfolio management the way it has to be"
In the past I had to use large excel files with complicated formulas to plan next years portfolio and display/predict resource bottlenecks. After countless hours of fixing data and waiting for results to be calculated I'm now using Meisterplan to plan ahead. The best thing: It's fast and displays the impact of changes in the portfolio instantaneously. This leaves me able to focus on the actual problems and find new alternatives. There are times I feel the need to break projects down into more detailed structures, e.g. phases. It was tedious to capture all projects in my portfolio in one large excel file. Even after having done that, the excel file didn't allow me to create different scenarios and compare them. "Superb interactive Project Management and Portfolio & Ressource Management"
Some controls dont sometimes do what they should do and react a little bit sluggish, and please add some new color themes and attributes for some dashboards and diagrams. test and try it, online. Its great! Project Portfolio Management and agile business strategy within big software teams, multiproject management while implementing software and user processes in production and to overview agility, performance, budget, timelines and sustainability. We took Meisterplan for planning our consultants and external projects and found it quite helpful. It's so easy to assign resources to projects and to see what happens with their capacity. At the end we improved our planning accuracy and the communication with our customers. "Great SaaS Platform for Project Portfolio Management"
First, the product is really easy to provision online, no software to install. Just register and get started. I am very impressed with how easy and intuitive it is to manage even complex project portfolios - just drag and drop your resources, timelines, goals and dependencies. Also, the switch from Excel to Meisterplan is seamless as the software makes it very easy to import our existing planning spreadsheets. No major issues. I am using Meisterplan on Chrome on my desktop, which works great. If you need to use it on a small mobile device (Safari browser), it can be a bit tricky - the small device form factor isn't ideal for many SaaS apps. But it works great on my iPad. Start the free trial and use it for a few weeks with real-world data and scenarios to get a good sense for the capabilities. We need a central, intuitive platform for portfolio planning that can be accessed by the project and portfolio managers. No more spreadsheets and version management reduces errors and inconsistencies. Much better visibility into projects and how they align with business strategy. (a) it would be very easy to load this tool up with a portfolio of projects with their labor demands (I fixate on the labor part, but I suppose the point is more generally about resources) and then I could use it to explain what we are planning to use all of our people on (and why we are going to have to make some tough decisions about what we take on when). I would just start with roles (not named individual contributors). This would be a simple way to get a lot of value within hours. (b) this is a cool system that is nipping at the heels of full-on PPM systems. Check out the financials stuff and the goal-based portfolios. There was nothing I disliked. I'm sure they could do more to help me use this across the whole management team, but I haven't looked that closely at what they already have there. I only looked at the trial, so no value has been realized! "Fast and easy resource and portfolio planning"
As Saas solution Meisterplan is very easy to implement and use. The interactive planning and allocation of resources and project is really easy to use and saves a lot of time and efforts. 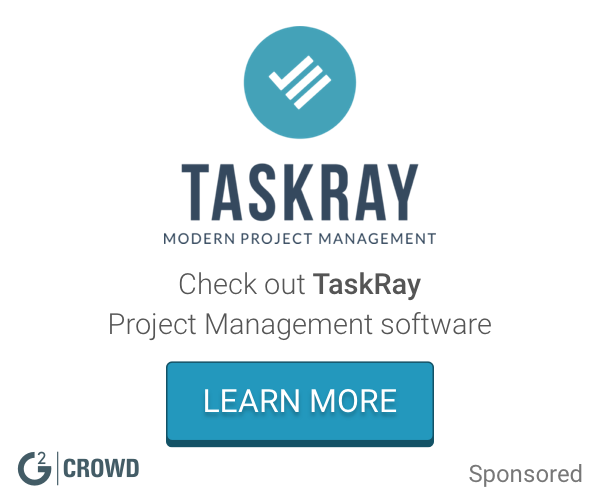 I would like to have more operational project management features like task planning. Meisterplan uses a top-down approach to portfolio management. This requires a new thinking when you are a project manager. 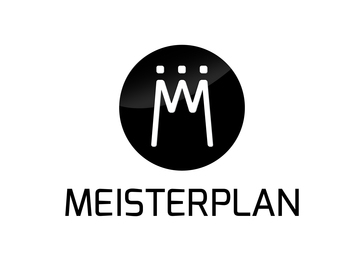 Meisterplan saves time and gives a really impressive view on all our projects and resources. "Intuitive Resource and Portfolio Planning"
The intuitive user inrerface, providing easy and straightforward access and visilibity into what is typically a very complex issue -- Portfolio planning and optimization, portfolio analysis, resource capacity planning. Replaces complex Excel tables, pivots, reports, etc. A strong integrated project management / project planning functionality might make the solution a more complete PPM solution for the entire enterprise. This is currently addressed through strong interfaces to other PPM solutions. Do I have enough people for the planned projects? Where are the shortages? Would it be better to shift projects? How does my Portfolio develop over time? Replaces a multitude of complex Excel tables, pivots, reports, etc. "Great solution for business strategy alignment"
For us it was difficult to find out which project is really aligned to our overall business goals. Meisterplan is the ideal solution to find the optimal way of prioritizing project in order of the impact of the business strategy. Alignment of project portfolios with business strategy, business transformation. "Trending product with good future outlook"
Simple UI where you can use only what you want. At the same time very powerful feature set with full PERT planning and resource allocation. Advanced views on finding bottlenecks. Great feature that you can identify projects as must have and plan accordingly. Great management of resource pools but often the real bottlenecks are the few key people in a company who can drive projects forward. It would be great to see a feature where I can allocate and track the allocation of the top 10 ppl. Managing a large corporate project portfolio. "Comprehensive interactive project portfolio management application"
Meisterplan strength is the interactive interface for planning portfolios! With drag-and-drop you can move projects around and get a visual realtime-feedback what happens to your resources, financials and business goals. Meisterplan runs best using Chrome. Other browser also work but need some improvements and testing. "Great solution for staffing and portfolio management"
For us as a software development company with and many parallel projects meisterplan is a great solution to keep resources allocated whilst keeping an overview of our project portfolio. And its very easy and intuitive to use, too. The frequency of new features added to meisterplan is quite high. Thus it will be interesting to see whether it will be as intuitive and easy to use as it was in the beginning. "make your business agile and flexible"
"Easy to use resource planning application"
"Meisterplan is an eye opener for resource bottlenecks"
Sometimes we miss the chance to test portfolios based on a standard „Meisterplan" methodology. "Good extension to exisiting project management"
* We monitor all Meisterplan reviews to prevent fraudulent reviews and keep review quality high. We do not post reviews by company employees or direct competitors. Validated reviews require the user to submit a screenshot of the product containing their user ID, in order to verify a user is an actual user of the product. Hi there! Are you looking to implement a solution like Meisterplan?